Adult Summer Reading Club Weekly Draw -Week 3. Congratulations to Stephen of Caringbah, who is the winner of the third weekly draw for the Adult Summer Reading Club, 2012-2013. 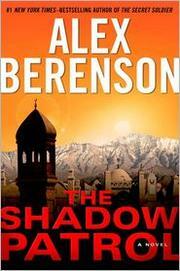 Stephen read The Shadow Patrol by Alex Berensen. Berensen continues his excellent work, awfully good comment on current political situations worldwide and a valuable insight into closed societies such as Afghanistan and Pakistan.I thoroughly enjoyed this work and will now follow this author forward. Sadly, I finished the book too quickly! Adult Summer Reading Club Weekly Draw-Week 2. Great Reads you may have missed, 2012. Adult Summer Reading Club Weekly Draw- Week 1. Summer Reading Club starts today!